New accessories compatible with Nintendo Switch, expected this Summer 2017. The first third-party company to unveil accessories for the console at CES 2017, snakebyte return with a second range of high-quality products produced with a strong emphasis on quality, and robust enough to survive the most demanding of trips. Adding an estimated four hours of play time to the Nintendo Switch charge, the Power: Pack features a powerful 7000 mAh Lithium Ion battery and attaches securely to the rear of the Switch console. 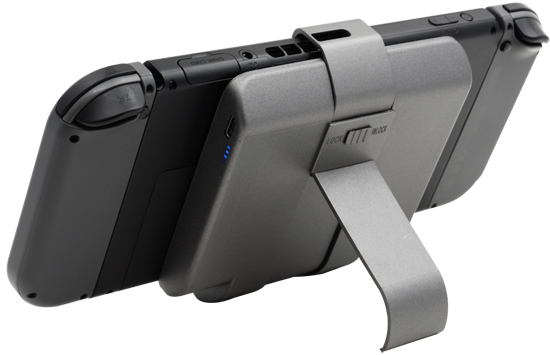 Integrated kickstand holds the console firmly in place for when playing in table-top mode and charge indicator lets you know how much juice is available for those essential Mario Kart sessions! 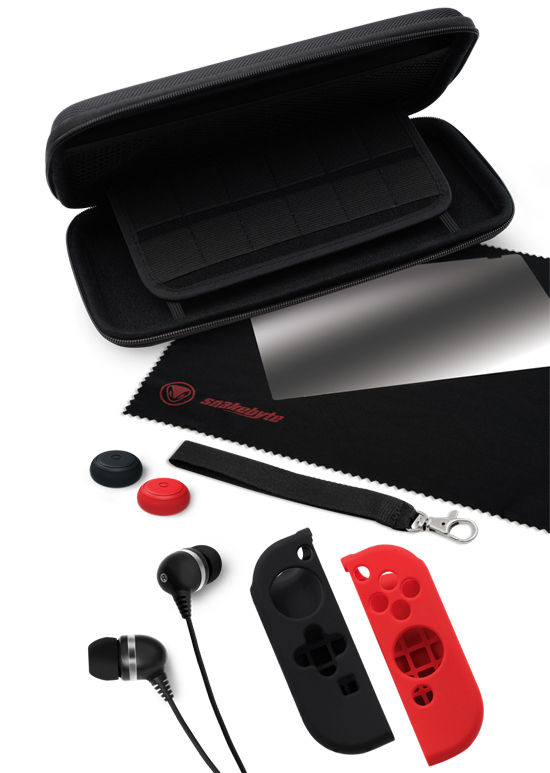 An evolution of the Company’s best-selling Switch accessory, the Starter: Kit Pro includes a premium Carry Bag with integrated 12 game cartridge holder, ultra-hard tempered glass Screen Protector, Cleaning Cloth, Control Caps, Ear Buds and silicon Joy-Con™ Controller Grips, everything you need for quality gaming-on-the-go! 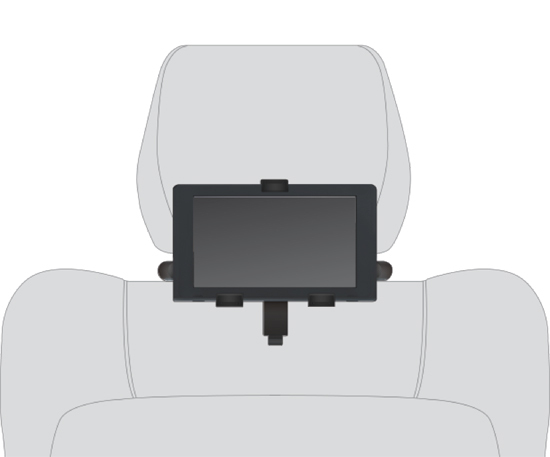 Ideal for those summer road trips, the Seat: Mount attaches safely and easily to the head rest of most standard car seats and holds the Switch console securely for on-the-road play. Quality engineering ensures no damage to the console. The essential accessory for all switch households, the Four: Charge discretely charges up to four Joy-Con controllers simultaneously. Each Joy-Con slides effortlessly into the tower design of the controller, protecting it during its speedy charging cycle.